Hip and knee implants currently need to be replaced every 15 years or so. The polyethylene or plastic lining between the implant and the neighboring flesh wears out after time, leaving soft tissue exposed to the hard implant. But recently, researchers on the hunt for a way to create a smoother, more sustainable lining found a potential breakthrough in an unusual source: the beak of the jumbo squid. The beak of Dosidicus gigas, which roams the eastern Pacific Ocean, is soft where it connects to the animal's body but hard enough to bite through prey at the tip. Throughout the length of the beak, there is a gradually increasing stiffness that could have tremendous potential for joint implants. 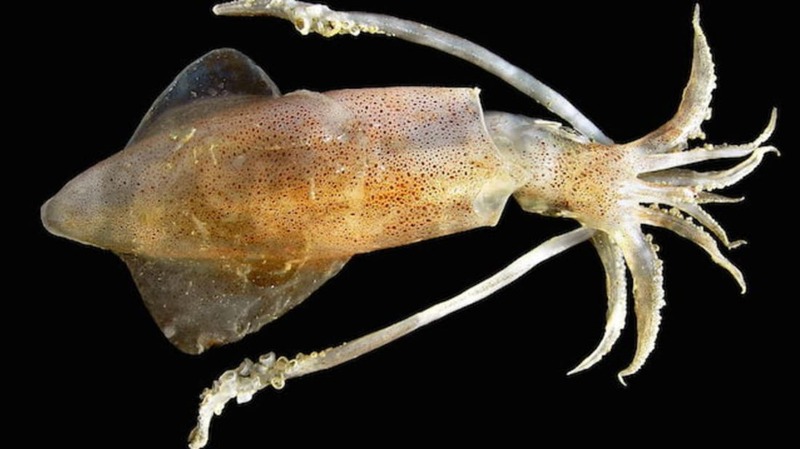 Ali Miserez and his team from Nanyang Technological University, Singapore, whose research was published earlier this year in Nature, examined the structure of the squid beak. Their key insight was figuring out the precise molecular structure that allows for the beak's stiffness gradient. Similar in composition to crustacean shells and insect exoskeletons, the beak of a squid features a scaffolding of interlinked chitin fibers filled in by a concentrated liquid protein solution that hardens near the end, like superglue drying in the air. Or put another way: "The protein flows into the right place and when there is a change in condition (such as pH levels), it cures," as Miserez explained to Singapore paper The Straits Times [PDF]. Being able to mimic this gradual change in hardness would allow for more comfortable and sustainable joint implants. The next step is to consider how to actually produce these next-generation implants. Miserez says he believes the chitin can be obtained from waste seafood, and the proteins can be fabricated in the lab.